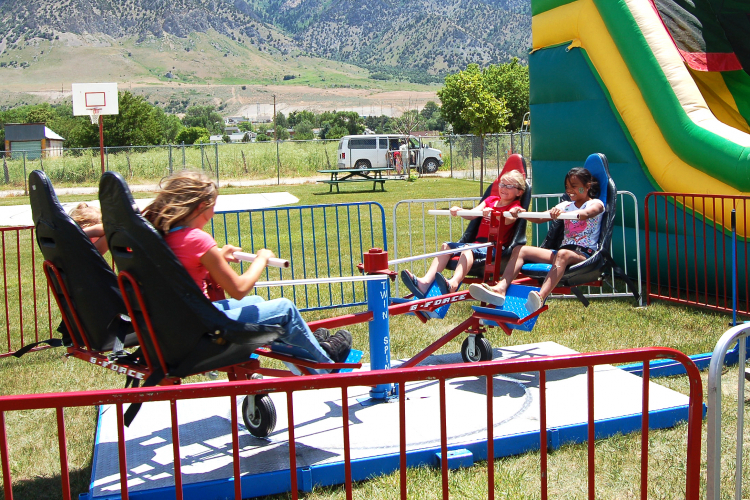 Kids, teens, and adults all love the Twin Spin Ride! This ride is portable and requires NO POWER! How fast can YOU get the Twin Spin Spinning? Requires Checketts Amusements for set up and take down. Can be operated / staffed by customer. Will be towed into place with a regular size pickup truck with a 2" ball. From $220 to $440 per day. Fun for all ages, but especially good for teens and adults.